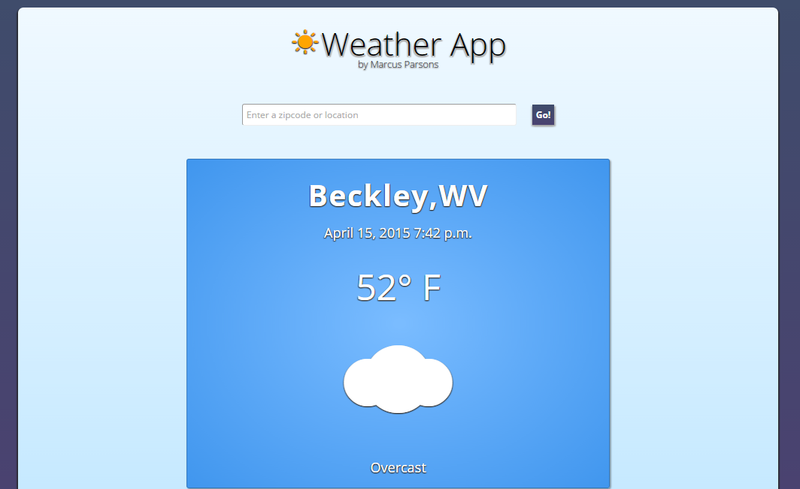 My name is Marcus Parsons, and I am a web designer and developer! I've been building, designing, and programming on the web for over 8 years now. I've known that I love programming since I was a teenager when I first learned the Game Maker Language, but I didn't know how much I would like web development until I witnessed the raw power of HTML5 and CSS3 technologies. It is still remarkable to me how far web development has come just in the last 5 years with the addition of HTML5 APIs and CSS3 animations. With HTML5 and CSS3, we can make web apps that rival their desktop counterparts. To me, that is still staggering to think about. Contact me on my contact page or if you want to discuss building a website or a web application or even if you need help with building something on the web. I will get back to you within 24 hours. 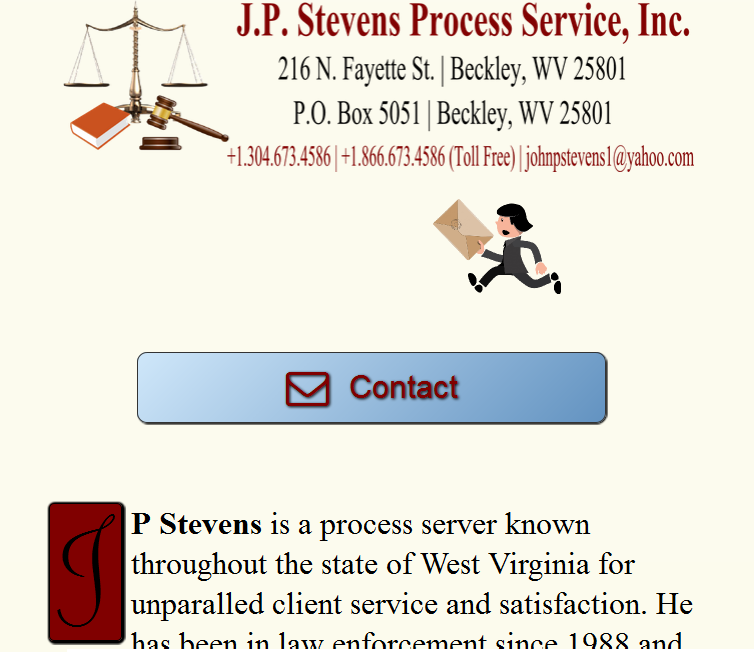 JP Stevens Process Service, Inc.
A website for JP Stevens Process Service, a process service company based in Beckley, WV with access to process serving nationwide! 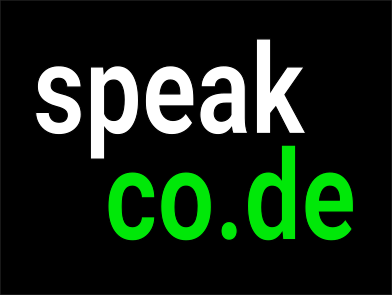 Learn to speak the language of code. Under construction! SketchMeh is a fun web drawing application with many tools to choose from to create some seriously awesome drawings! 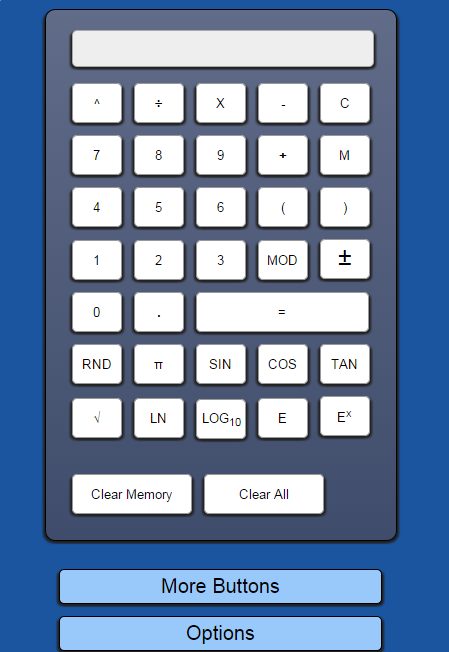 This is not your average Calculator program. It has customizations, keeps track of expressions, has a comprehensive help section, and more! Find the current weather (and current local time) of a location and the 7 day forecast for that location! 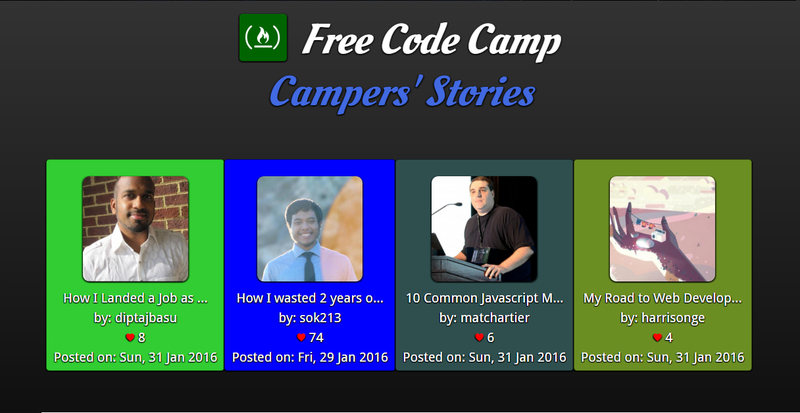 This app gets the hottest stories being featured on Free Code Camp using AJAX and the Free Code Camp API. 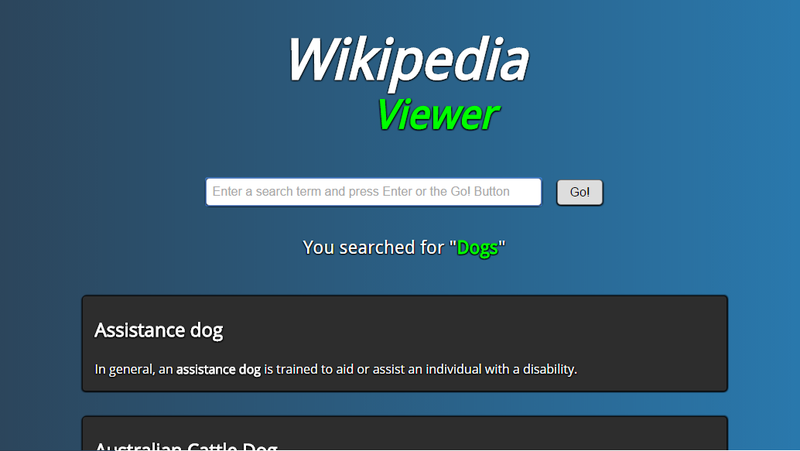 This app provides an easy and fast search of Wikipedia articles based on your search term! It utilizes AngularJS, jQuery, AJAX, and the Wikimedia API. 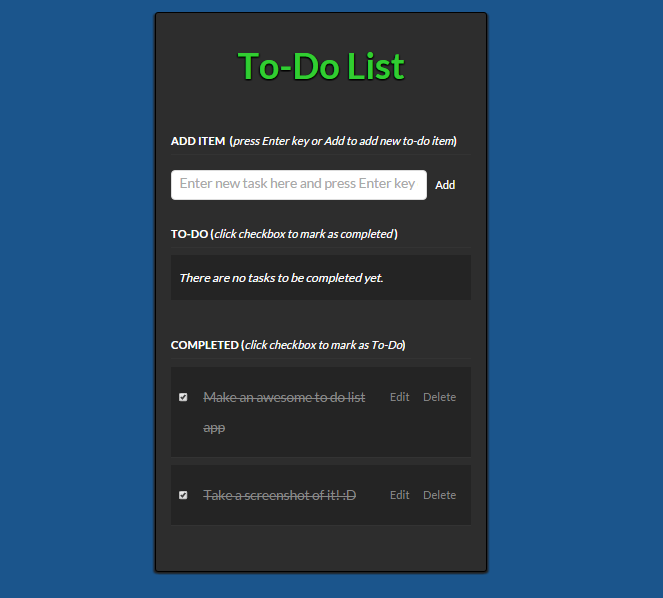 Keep track of daily activities and things to do with this to-do list app! 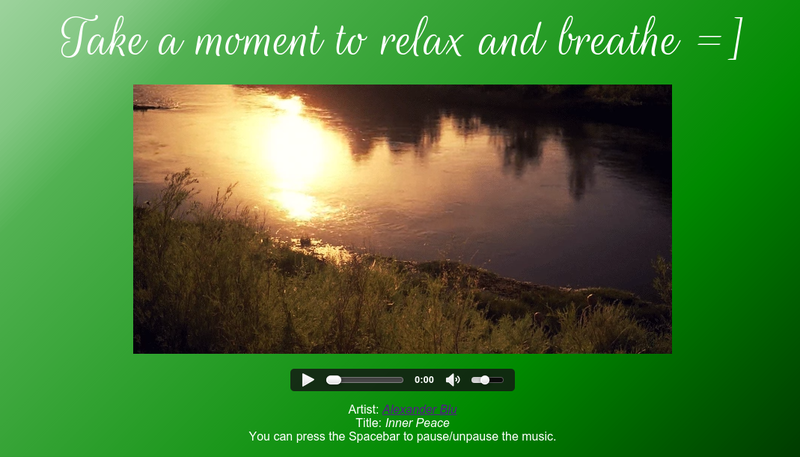 This app will persistently store your activities so that you can access them later. 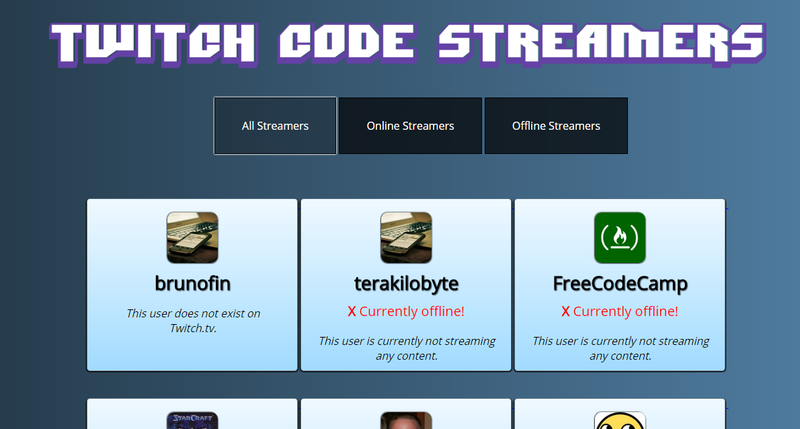 This app shows Twitch streamers that regularly stream videos featuring web coding (and one random 24/7 streamer and some made up users) and utilizes AJAX and the Twitch API. 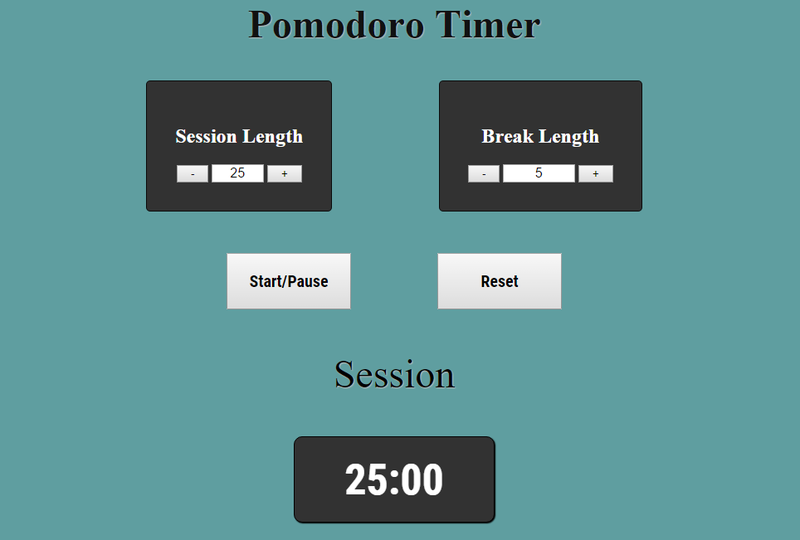 A timer that utilizes the Pomodoro technique in a repeated cycle. 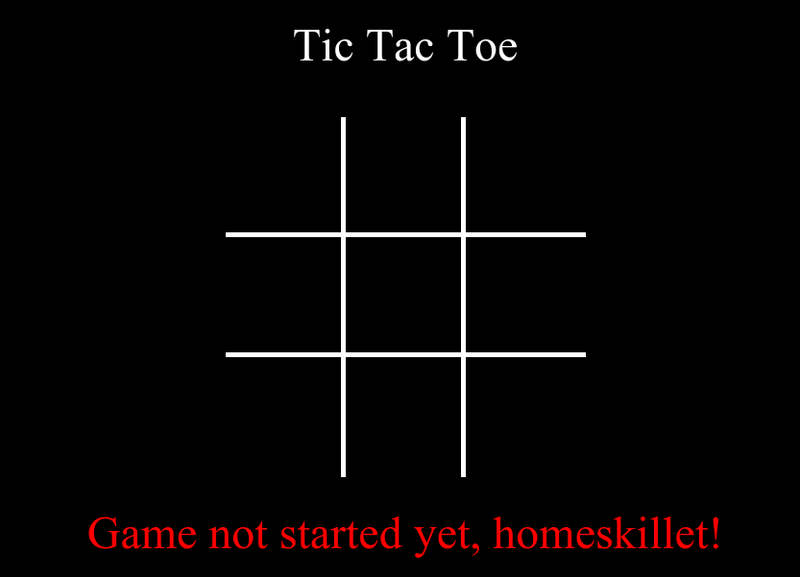 Who doesn't like to play some games? 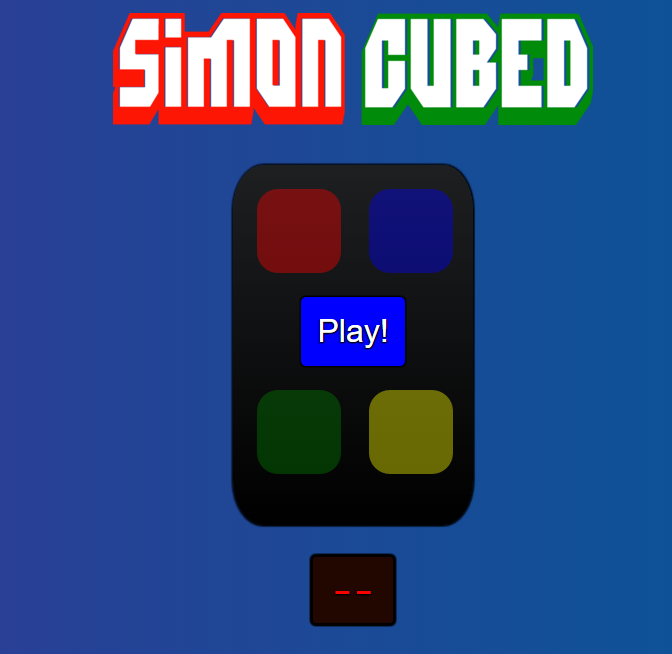 Play my own rendition of the classic game Simon! There's never a clear winner, but there are bragging rights for having the best memory! 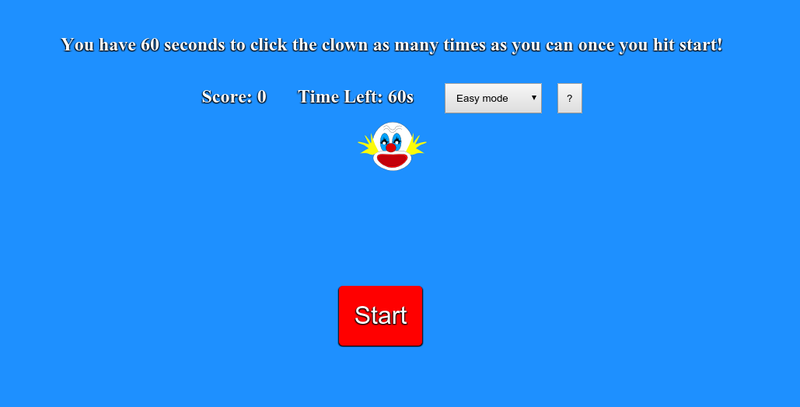 Try to click the clown as many as times as you can! Has 3 modes of play: Easy, Normal, and Hard! This extension replaces your old new tab with a Starfield that you will zoom around in. This extension removes the right side panes from Facebook, so that you aren't distracted from the News Feed of your friends, family, and those you follow. All other random and fun things! 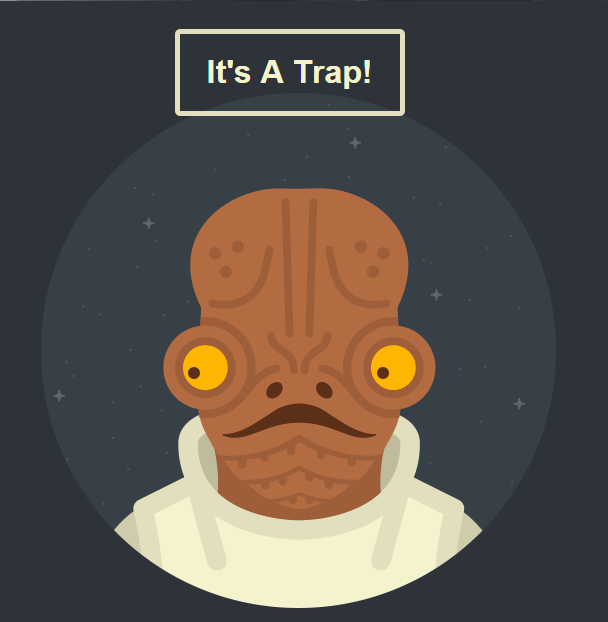 This is just a neat, little animation of Admiral Ackbar from Star Wars! Ohhhh yeaaaaa! 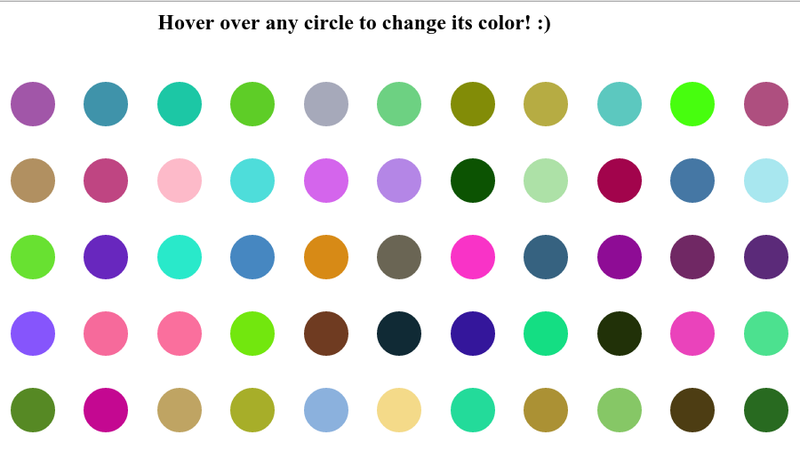 Hover over the circles and watch them change colors before your very eyes! Check out some random quotes that are inspiring to me, and even tweet one if you'd like! Continuously generate random numbers. You can specify separators and whether to encapsulate the numbers inside of single/double quotes or not. You can use the form below as an easy way to contact me. You can also . I check my email daily, and I try to respond back as soon as possible, generally within 24 hours. Please note that you can only submit this form once per day to reduce the chance of spam. Please enter a name of at least 2 characters. Please enter a subject of at least 5 characters. Please enter a message of at least 20 characters. Please make sure the form is filled out correctly. There should be no empty textboxes, all of the fields should be valid, and the captcha should be solved.